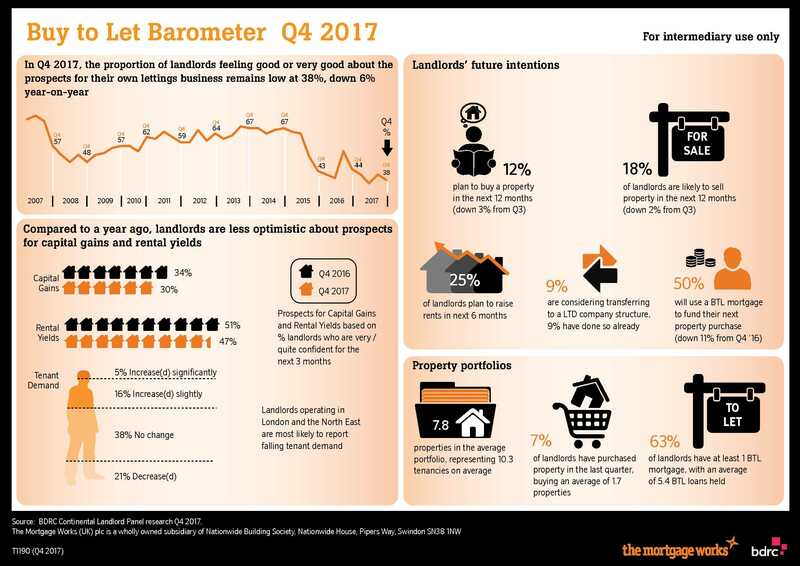 TMW has issued its Buy-to-Let Barometer for Q4 2017, which reveals that landlords’ confidence appears to be stabilising. Q4 2017 sees the proportion of landlords feeling good or very good about the prospects for their own lettings business remain low at 38%, down 6% year-on-year. The results also highlight landlords’ future intentions, including whether they plan to buy a property in the next 12 months. Whilst MortgageAbility does not charge for mortgage advice, please note that there will be an administration fee for arranging mortgages. The precise amount will depend upon your circumstances but we estimate it will be £395, payable on completion. MortgageAbility gives you the option to pay a non-refundable fee of 1% of the mortgage loan payable with the application. If this option is taken, MortgageAbility will refund any commission received from the lender.